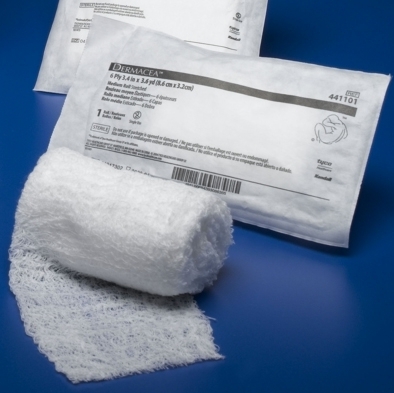 The Dermacea™ Gauze Fluff Roll is made of prewashed, fluff-dried 100% woven gauze with a unique crinkle-weave pattern for loft and bulk to cushion and protect wound areas. As a primary dressing, the Dermacea™ Gauze Fluff Roll provides fast wicking action, superior aeration, and excellent absorbency. I have ordered 3 times from Incontinence Products Plus. Each order has been delivered quickly and the quantity has been right. I use the gauze to cover the area on my leg were I get ulcers. Excellent product , great price and fast delivery. I have chronic venous stasis and these products are not only affordable they are also absorbent. Shipment was super fast. Another excellent product. Price could not be beat.